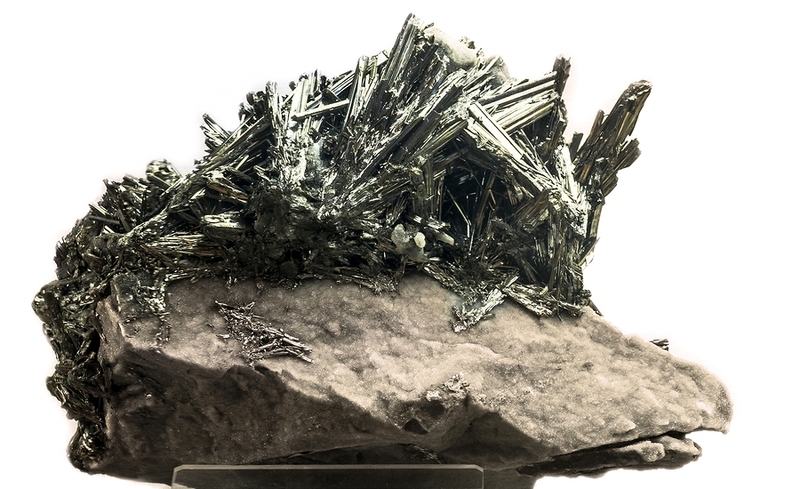 Common Names: Crude antimony; stibnite. Anitmonium crudum (Ant-c.) suits children who are irritable and easily angered when looked at or touched. It also suits soft, sentimental, poetic, and romantic adults (who may also dislike being touched) when other symptoms also fall under the Ant-c. profile. The symptoms of both types tend to worsen with moonlight and overeating. The person is prone to obesity and overheats easily. Digestive issues are common and often accompany other health complaints. The tongue may have a thick, white coating – “like snow”. Splitting, cracking, thickening, and callouses occur with skin and nails. Sulky and easily angered children who don’t want to speak, be spoken to, or touched. Soft, sentimental or romantic adults affected by moonlight and attracted to poetry. Health complaints accompanied by digestive disturbances. Thickly coated, white tongue – “like snow”. Large appetite with a tendency to overeat. Craving for cucumbers, pickles, or acidic foods. Painful callouses or plantar warts. Sticky discharges from skin – like honey. Chickenpox or impetigo eruptions (when other symptoms also match the Ant-c. profile). Antimonium crudum (Ant-c.) is available from our online store as a single remedy.